What are the small changes that can help you to improve the Aesthetic Appeal of your home? The ‘sell house quickly’ ethos which gripped the market in the wake of the economic recovery in 2011 is no longer prevalent, with home-owners currently reluctant to list their homes for sale. While this is creating a lack of supply and a sellers’ market where price points continue to soar, it also suggests that individuals are biding their time until they can fully optimise the resale value in their home. This seems like a false economy, however, and those with a desire to sell may be wise to act sooner rather than later. At this point, you may well decide to list your home and enhance its value further through modification. This is decidedly flawed, however, as the inflated level of value means that the addition of a new kitchen and conservatory adds less than it used to. Instead, home-owners should consider investing in modifications that improve the aesthetic appeal of their property while minimising their expenditure. 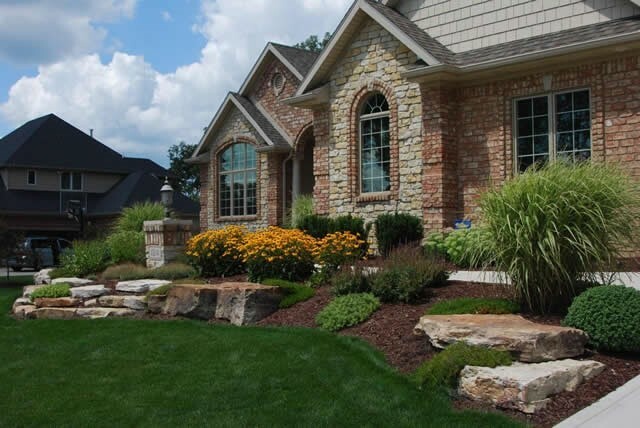 Curb appeal refers to the external appearance of your home, and the impact that it makes on buyers when they first visit. If the market is to become more competitive in the coming months, it is imperative that you enhance the curb appeal of your home and ensure that it holds the attention of potential buyers. This can be done easily and cheaply, simply by clearing away any clutter, infusing seasonal flowers and pressure washing any concrete surfaces. Instantly, you can refresh the visual appeal of your home and engage motivated buyers. On a similar note, one of the most popular and aesthetically pleasing design trends has been the creation of a seamless meld between interior and exterior layouts. In simple terms, this means that there is aesthetic value to be found by bringing the outside in, as you develop a sunken garden with a fire-pit for adults and construct a modern treehouse for younger residents. The installation of bi-folding doors that lead out into the garden will also create the illusion of space, and may even give the impression of an extra reception room. If you are looking to spend a little more on adding depth and appeal to your home, you should consider investing in en-suite luxury. Simply by adding a bathroom to each bedroom (or at least your two largest spaces), you can add an innate sense of space and luxury to the property that enhances its appeal in the eyes of buyers. Modern bathroom designs are also sleek and stylish, so en-suites can really wow prospective buyers who have an eye for trends. This can cost as little as £4,000, depending on the complexity of the design and the number of bathrooms you want to add.